Black Panther is a fictional superhero appearing in American comic books published by Marvel Comics. The character was created by writer-editor Stan Lee and writer-artist Jack Kirby, first appearing in Fantastic Four #52 (cover-dated July 1966) in the Silver Age of Comic Books. 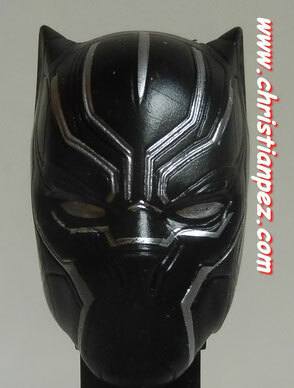 Black Panther's real name is T'Challa, king and protector of the fictional African nation of Wakanda. Along with possessing enhanced abilities achieved through ancient Wakandan rituals of drinking the heart shaped herb, T'Challa also relies on his proficiency in science, rigorous physical training, hand-to-hand combat skills, and access to wealth and advanced technology to combat his enemies.